Below you will find some information about PD Sessions that have been or will be offered this year. 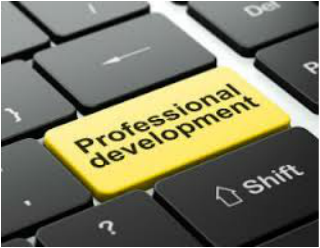 Click here to find out what PD sessions will be offered this month. Edulastic is a platform for personalized formative assessment for K-12 students, teachers and school districts. New to iNow or just need a refresher after the summer, just us as we learn how to enter attendance and set up and maintain a gradebook through iNow. Come find out the new options for creating your classroom webpage using resources other than Contribute. ​MobyMax is an outstanding online resources that offers a free math, language, and reading curriculum for K-8 teachers. All lessons are aligned with the Common Core Standards and teachers can implement the service with very little work on their end. This session will give you best practices for utilizing Office 365’s collaborative features and help you to integrate them to increase the effectiveness of PLCs as well as classroom instruction. OneDrive provides users with unlimited cloud based storage so there is no more need of CDs or thumb drives. Description of Session: Learn about the latest and greatest iPad apps to use in your classroom! From motivation, to organization to presentation - we'll cover them all! Bring your iPad!! Description of Session: Teachers will learn about available tools to prepare students for online technology enhanced questions for Math TNReady. Have a great story that you would like to tell? Would you love to learn how to create a nifty slide show or video using your iPad, your laptop, or desktop computer? In this interactive session participants will use a variety of media tools for both PC and iPad to create a digital story. Increase student motivation and improve knowledge of students by learning more about them when they write, storyboard, record, and share their authentic digital story. ﻿Organize and share your files electronically using Office 365 One Note. Learn how you can create OneNote notebooks for cloud based organizations and file sharing. Dig deeper to deliver curriculum and collaborate with students and colleagues. This is a tool you've got to see! ﻿Trying to figure out how to integrate BYOD into your everyday lessons? Looking for a way to make your PowerPoint presentations engaging? Come learn about Nearpod! You can import your pre-existing PowerPoint presentations and embed formative questions, polls, videos, and quizzes. Students access your presentation on their devices and you get great data reports after each presentation. Free and easy to use ... leave this session with a lesson ready to go! Unpack Standards, Know what they mean and how they translate into lessons in my classroom. It is time to brush up on new and great resources that will turn an ordinary classroom into a stage for engaging learning. This fast-paced session will showcase the latest finds in standards based content, productivity life-savers, web 2.0 tools, collaborative tools, and student engagement applications. Come prepared to share your favorite resources with the group. Teacher websites can be used for so much more than posting standards and keeping a calendar. A website can become a virtual learning environment accessible to students from anywhere and at all times, if we build in some key elements. Find out how your website can be used for presenting material, completing make-up work, and differentiating instruction. This workshop offers ideas for creating a Rutherford County Schools web site to link from the school landing page using the approved Weebly platform. 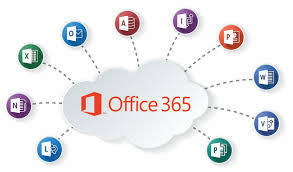 ​Use Office 365 for instruction, collaboration, assignments, communication, and more. This session highlights best practices for utilizing Office 365’s collaborative features to help you integrate them to increase the effectiveness of PLCs as well as classroom instruction. OneDrive provides users with unlimited cloud based storage so there is no more need of CDs or thumb drives. This is an exciting free tool that can greatly enhance your classroom experiences. This session is geared towards teachers that are currently enrolled and using MobyMax. Creating and assigning online writing prompts has never been easier using MobyMax Writing Module. Writing with MobyMax offers the complete submission-revision-grading system for any type essay, report, or research paper. Easy Markup allows for simple drag and drop markups for all common errors like fragments or comma splices onto the students writing. Existing writing prompts, images, and rubrics can be imported into the program. 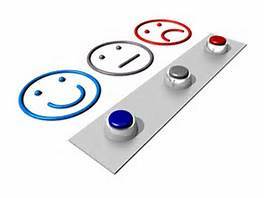 Provide better feedback as well as save time! Easy Grading, Progress Monitoring, and Tracking Workflow. Digital portfolios are beneficial tools for teachers, students, and parents. For students: they allow students to independently document their learning and provide an audience for their work—their teacher, other students, their parents, etc. For parents: they give families a glimpse into their child’s school day. For teachers: they save a teacher's time on organization and parent communication, make formative assessment easy, and provide a secure environment to teach technology skills. The focus of this session will be the use of a specific digital portfolio called See Saw. ​available for formative assessment to aid with classroom learning goals. Technology is allowing us to connect with others as never before, and classrooms can now take part in this exciting adventure. In this session we will demonstrate strategies to help teachers successfully use Skype through their Office365 account to bring the outside world in to their building. Learn how to play a Mystery Skype game with a classroom across the country, invite a guest speaker in to discuss your topic first hand, or take a virtual field trip to a new land. All of these and more are available with the click of a button. Come find out how. Microsoft Classroom is a one source shop for assigning and collecting student work, providing feedback, collaborating, and grading student work online. This is Microsoft’s answer to Google Classroom. Office 365 Education now includes Microsoft Classroom, a blended learning platform for managing all classes and assignment workflow for teachers and students. Classroom also integrates with One Note Class Notebook. This session will provide participants with a student view of Classroom and time to setup classes and assignments. Please click on the image to the right to complete the evaluation in order to receive full credit for the In-Service.